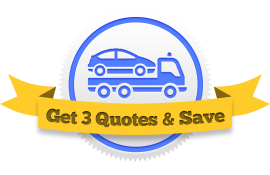 Find the cheapest quote on tow truck insurance by comparing three different agents! Do You Need a Cheap Quote on Tow Truck Insurance? A strong commercial insurance policy is an essential part of any sucessful tow truck service. It protects your business from the unexpected, keeping you safe from small financial catastrophies. This guide will teach you which coverages you need, why you need them, and where you can find the cheapest quote for your tow truck business. Why Do I Need Tow Truck Insurance? Without the right insurance, you could find yourself legally obligated to pay for the costs of these unfortunate events. However with the right insurance, these risks are shouldered by your insurance company, allowing you to continue operating without interruption. What Coverages Are Included in My Tow Truck Insurance Quote? Every business is different. When you get in touch with your insurance agents, they’ll outline which exact coverages your business absolutely needs and which coverages you can probably do without. But it’s always a good idea to learn a little bit beforehand so you can get an idea of all the types of insurance coverages tow truck companies use. General Liability – At the very least, you need this coverage. It protects you against claims of personal injury, be it in the form of bodily injury, property damage, or slander. This coverage will pay the injured party (whether their claim is warranted or not) and cover any associated legal fees. Towing Auto Liability – This is coverage that’s similar to your personal automobile insurance policy. It pays for damage done to other people or vehicles when you or one of your drivers is involved in an accident in a company tow truck. You must have liability insurance for every tow truck own: it’s a legal requirement in all 50 states. Physical Damage Insurance – This is coverage that protects your own vehicles. Regardless of who is at fault, it pays for repairs to your damaged trucks. It consists of two parts. Collision Coverage covers damage done during a collision on the road. Comprehensive Coverage goes above and beyond and covers things like fire, theft, and vandalism. Garagekeepers Legal Liability – This coverage protects customers’ vehicles garaged on your property. If the customer finds any damage done to his car after picking it up, the insurance company pays for it. On-Hook Towing Insurance – This coverage covers you during the actual tow itself. If a customer’s car is hooked up to one of your trucks and it gets damaged, this coverage pays for repairs. Workers’ Compensation Insurance – Businesses are legally required to get worker’s comp to protect their employees from injury. If someone working for you gets hurt on the job, your workers’ comp policy will pay for lost wages and all their medical bills. Liability Umbrella – This coverage covers you against extreme losses. When an accident causes above the limit on your policy, liability umbrella insurance kicks in and covers what you would have otherwise owed. How Do I Find Cheap Insurance for My Tow Truck Business? When you’re ready to get a cheap quote on tow truck insurance, you can fill out an application online for a free insurance quote. Services like ours get you in touch with three agents at once. This allows you to pick and choose the cheapest option for your business. Get started now!